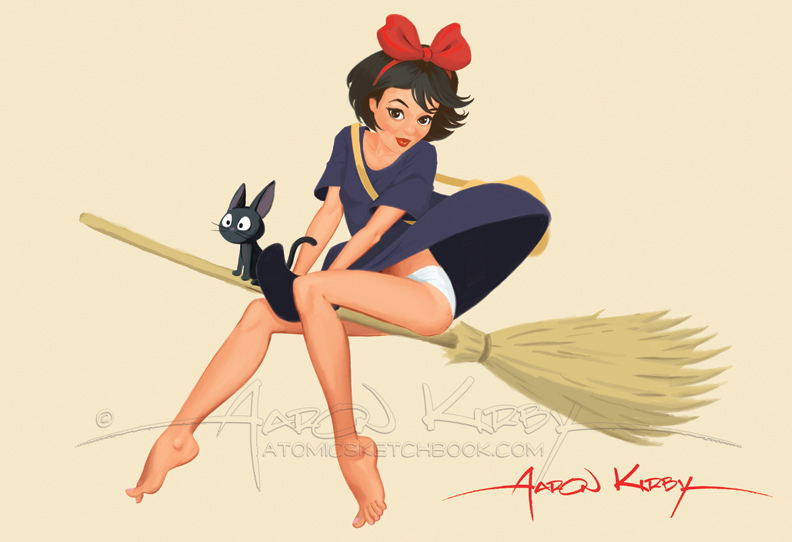 Well I finally got the time to finish coloring my pin up of Kiki from Miyazaki’s Kiki’ Delivery Service. This is such a great film, I can’t believe it’s at least not as popular as some of the newer Disney title’s here in the states. But I guess marketing is everything unfortunately… Anyway I wanted to use this piece to try some new brushes and play with the design a bit. I kept Jiji as more of a prop to keep the emphasis on Kiki, but it would have been fun to put him in a more exciting pose…. Maybe next time.. Tell me he doesn’t remind you of Toothless from How to Train Your Dragon..!